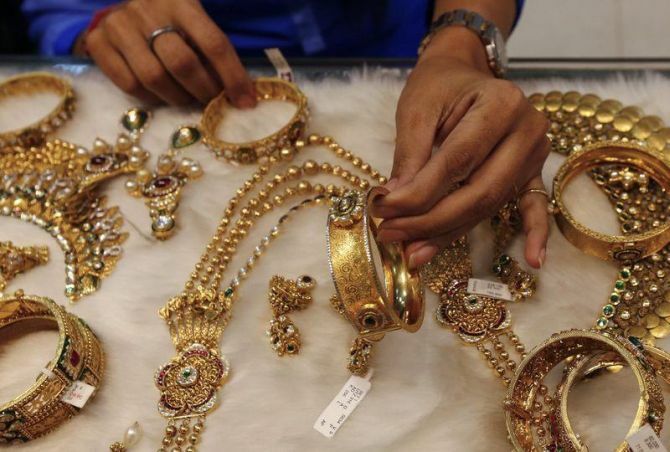 The options include involving jewellers as collection centres, addressing of issues that banks have been facing and using domestically available gold for giving metal loans to jewellers for domestic sales. The aim of this scheme was to mobilise “idle gold” with households, estimated by the World Gold Council at 25,000 tonnes or almost half the value of this country’s gross domestic product. However, the scheme has not even attracted 10 tonnes since the launch in November 2015. Even this has mostly been from temples, not homes. Suggestions on how to revive it are being discussed by a panel formed by the Niti Aayog. These include involving jewellers as collection centres, addressing of issues that banks have been facing and using domestically available gold for giving metal loans to jewellers for domestic sales. According to information from the Association of Gold Refineries and Mints say around 10 refineries and 50 gold collection centres (hallmarking centres) are licensed to accept gold under the scheme and consumers keep making inquiries. “However, we are not ready to accept gold as deposits, as the operating banks are not ready at their end to accept these, for a variety of reasons,” said James Jose, the Association’s secretary. Banks, says an industry official, are not finding it viable to accept gold deposits from investors for less than 500g. Even for bulk deposits, the interest for medium-term and long-term ones is yet to be reimbursed by the government; the latter is yet to even prepare the operative guidelines on this. So, bankers want the government to clarify how it wishes GMS to progress. Adding: “We propose that jewellers shall be allowed to accept such deposits and gold can be lent back to jewellers as metal loans at pre-approved rates; eligibility criteria could be fixed by the respective banks. Banks, however, are reluctant to support this. Another suggestion is to allow jewellers to accept gold as deposits and pay interest to depositors, using that gold for jewellery and then return this to depositors on agreed terms, the way they accept cash deposits. Agrawal says around 140 tonnes of gold jewellery are sold annually to jewellers, for encashing or buying new jewellery. James Jose observes: “The GMS deposit interest rate is over two per cent, which is costlier if the same gold is to be lent back to jewellers. From international sources, such loans are available at 1.5 per cent.